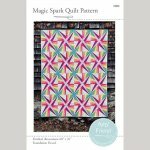 Magic Spark is a foundation paper pieced pattern. It is modern star design suitable for anyone! 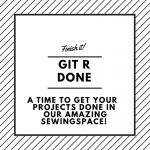 A modern quilt design to highlight the regular ombres, the confetti ombres or just your favorite fabrics!!! A fun and modern quilt pattern that plays with the popular star shape.